On September 30, federal funding for the Children’s Health Insurance Program (CHIP) expired. Congressional Republicans claimed that they didn’t want this to happen. The GOP had always supported CHIP, which provides insurance to the children of families who earn too much for Medicaid, but do not receive insurance through their employers. Republicans just got so caught up with trying to repeal Obamacare (a.k.a. trying to take health care away from millions of adults) that they forgot to preserve access to basic medical care for 9 million low-income children. Regardless, the public had no need to worry: States had enough money to keep CHIP running for the rest of the year, and Republicans would reauthorize the program with all due haste. The Senate is unlikely to address outstanding health care issues in the government spending bill that must pass by Friday, according to three senior GOP aides and a Democratic leadership aide. That means that a long-term CHIP funding bill, delays of the Affordable Care Act taxes and individual market stabilization are unlikely to be addressed until the new year. Congressional Democrats implored Republicans Wednesday to pass new funding for CHIP before the Christmas break. “This is the ultimate bad Christmas Carol story. This may be the most shameful day in the history of Congress,” Democratic House member Jackie Speier said at a press conference. As she spoke, Speier held up a chunk of coal, arguing that this was what her Republican colleagues had chosen to leave in low-income kids’ Christmas stockings. On January 2, Alabama will stop allowing new children to enroll in its CHIP program. Connecticut and Colorado will shutter their programs on January 31, if Washington does not provide new funds before then. Meanwhile, other states are already wasting money and personnel hours on contingency plans for CHIP’s demise. 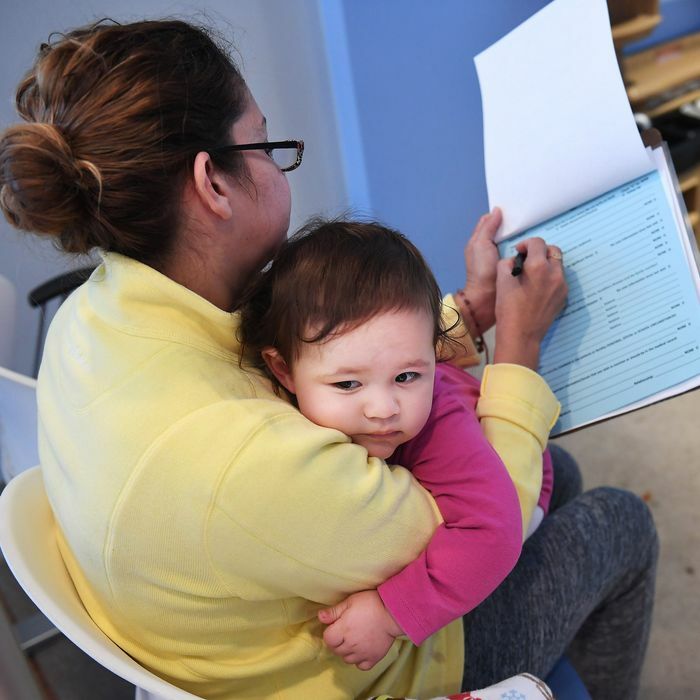 Last month, The Atlantic’s Annie Lowrey reported that West Virginia had stopped pushing eligible families to sign up for the program, a development that could lead to many more low-income children going without coverage, even if the program gets reauthorized in early January: If states don’t spend time and money spreading awareness of the program, many parents will fail to take advantage of it. So, why is the GOP inflicting needless harm on a popular program that most Republicans claim to support? The deficit, of course. While congressional Republicans were willing to add $1.5 trillion to the debt, so as to pay for corporate tax cuts, they have refused to appropriate the $75 billion required to reauthorize CHIP for five years. Instead, they insist on financing children’s health care with cuts to other people’s medical benefits. House Republicans have already passed a bill that that raises money for CHIP by throwing an estimated 700,000 people off of Obamacare, for falling behind on their premium payments. That legislation has (predictably) stalled in the Senate. Democrats, for their part, have evinced little interest in transferring a few billion dollars from low-income adults to low-income children, while Republicans are transferring trillions of dollars to the wealthiest people in America. It’s worth noting that CHIP is vastly more popular than the GOP’s health-care and tax bills — even among Republican voters. Over two decades in operation, CHIP has slashed the uninsured rate for American children by more than half, while improving their educational outcomes and fortifying their families’ economic security. Crucially, Republicans aren’t ideologically bound to deny these results; CHIP is the one part of the safety net that their party is supposed to like: It’s cheap, targeted at children with working parents, and the legislation that created it is covered in Republican fingerprints. But America simply cannot afford to put another $75 billion onto its credit card. Republicans have always believed this.